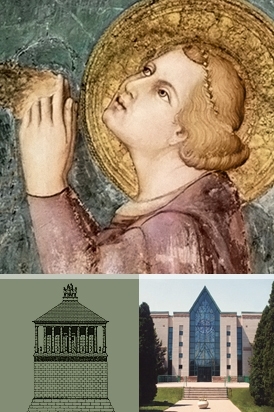 Saint Martin Mausoleum | Who was Saint Martin and what is a mausoleum? Who was Saint Martin ? We named our mausoleum after Saint Martin, not only because it is situated on the boulevard of the same name, but also in honour of this great saint. The story goes that, one day, Saint Martin cut his cape in half with a sword to share it with a beggar. Conscripted into the military, he renounced arms and chose to live as an ascetic, reaffirming the miracles of Christ. His tomb became the destination of a major pilgrimage. What is a mausoleum ? A very long time ago, in the ancient city of Halicarnassus, Queen Artemisia II erected a grandiose tomb for her husband, King Mausolus, whose name is the origin of the word “mausoleum.” The monument was so beautiful that it was ranked as one of the seven wonders of the ancient world. Nowadays, a mausoleum is like an indoor cemetery, which contains funerary recesses (also called crypts), as well as funeral niches, where you may pay your respects in every season.